This is a superb grappa I discovered while toasting with new my Venetian friends. As holidays such as Easter arrive I will be toasting with this same grappa but with prayers and wishes of health, peace and prosperity. 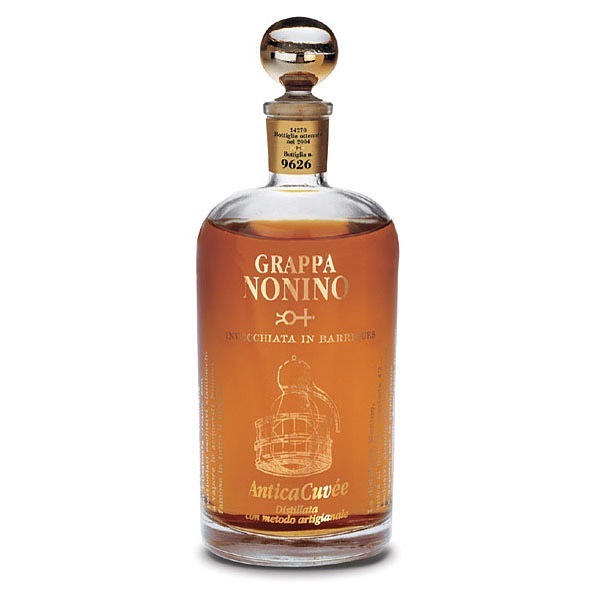 Nonino's hand blown bottle may have a bit to do with catching your attention, but the quality content inside the bottle speaks volumes for the grappa industry in Italy. The Friuli based Nonino Family changed the way the world views grappa. This fine grappa is made from a blend of 3 grappas from the varietals: Ribolla Gialla, Moscato, and Verduzzo. Antica Cuvee is aged for 12 months in limousin oak barriques and bottled with no additives. It is described as a rich, round and warm on the palate with a long and warm finish. The aromatics are spices, brioche vanilla and almond. Serve at room temperature in wide balloon-type glasses, sip as a digestive. Perfect with foie gras, dark chocolate or hot chocolate dessert.